Why would we start with Brasil BBQ in Petaluma for one of our best recommendations of places to eat (excellently, mind you), when it is not exactly IN Sonoma Valley??? 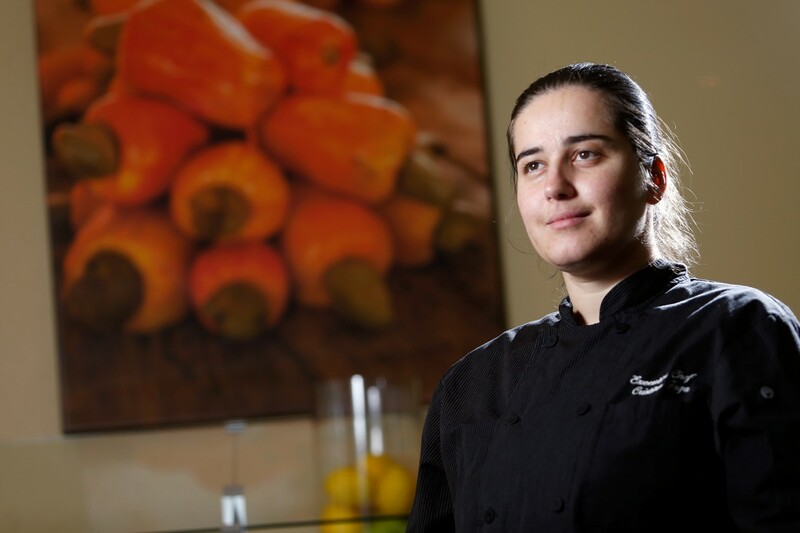 Chef Christina Faga owns and operates Brasil BBQ. Hands on and love filled qulaity food for happy full bellies! Our Sonoma Valley guest house The Big and Juicy Grape is one town over, granted not within walking distance, but its worth the drive to Petaluma! Owner & Executive Chef Cristina Faga serves you table side a parade of absolutely perfect and succulent cuts of meats. Brasil BBQ is in a small, very small strip mall locale which could stand expanding, but here’s the thing, ambiance and decor become a distraction on which folks could focus. At Brasil BBQ the attention is where it should be, the food. Chef Cristina puts her heart on the plate and you can’t help but taste love with every bite. This is soul food… Comida com Alma! Husband and wife owners welcome you to their establishment as if they were welcoming you to their very own home’s kitchen. The Big and Juicy Grape is 19 miles away from Brasil BBQ. Granted, not within walking distance… But a 25 minute drive. It is worth every minute of it!